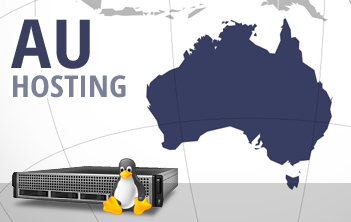 The datacenter location is as crucial to the smooth performance of your Asia or Australia-oriented website as the availability of enough server resources. Simply select your desired plan, then select the Australian data center from the pull-down menu and leave everything else to us. We'll activate your hosting almost instantly and will provide you with quick access to our in-house built, point 'n' click web hosting Control Panel. By hosting your site close to your customers from Asia, Australia and Oceania, you ensure that they will enjoy faster site load speeds. If, however, you are not pleased with the delivered speeds, you can take advantage of our 30-day money-back guarantee. Take a tour of our Sydney data center. Having your web sites close to your visitors is key for their optimal experience. We work with data center partners in all major parts of the globe. Take a tour of our USA data center, Australian data center and UK data center or Bulgaria data center and Finland data center. Always choose the data center closest to you and your visitors. Our custom built Hepsia Control Panel is packed with functionality and intuitivse interface, providing full control with single log-in. Domain Management, Web Site Management, File Management, E-Mail management, Invoice Management, Support Center access, Advanced Tools and so much more... Hepsia is mobile-friendly giving you full control of your websites, even when on the go. Click to experience a fully functional Hepsia Control Panel Live Demo. Turnkey web site installs - get the latest version of the most popular CMSs. If you need a web site to present yourself or your company online but have no web designer skills - this is for you. Just follow the step-by-step wizard and you are good to go! You have to try it to believe how easy it is to have a web site today! Make iClickAndHost your partner for reliable eCommerce hosting. Our servers are 100% optimized to run eCommerce smoothly. Get onine and start selling! If you are not happy with your current web host, open a support ticket and we will move you existing online shop over to iClickAndHost. Forget about slow web sites and downtime. Do the smart thing and switch to iClickAndHost. We value your data and we know how important it is for you. By switching to iClickAndHost you will never have to worry about losing your website data. Your websites will be backed up multiple times a day on our external servers. You can even have the latest backup saved directly onto your own Dropbox or Google Drive folder every day! Host with confidence. We love WordPress! We even run our own websites entirely on WordPress! iClickAndHost WordPress optimized. All the popular plugins run smoothly and can handle much more visitors than the average shared host. Free themes are available as well. If you are looking to move from your current slow WordPress host, notify our admins we will do the move for you. We have plenty in our hat for the advanced user: SSH, NodeJs, Varnish, Memcached, innoDB engine, PostgreSQL, Remote SQL, PHP version chooser (ver 5.2 to 7.0), custom PHP.ini configurator, FrontPage, AJAX, CGI, Ruby, Rails support; configurable firewall , SiteMap generator, password protected areas and so much more. See all the Hepsia Control Panel Advanced Features. We are developer friendly! With iClickAndHost you can purchase SSL Certificates to better secure the connection between your website and your visitors. iClickAndHost offers both generic and wildcard SSL certificates. Our generic certificates have 2048-bit RSA keys with 256-bit encryption. iClickAndHost support SNI, allowing you to purchase and install an SSL certificate to your domain without the need of buying additional dedicated IPs. You can purchase the certificate and install it with just 1 click from within your Hepsia Control Panel. As a complimentary extra we give our customers Free VPN Service with 5Gb of traffic included! All incoming and outgoind traffic is protected with 128bit encryption. So if you are worried about your privacy, you can safely protect your identity when browsing the internet. VPN access is available for every device with a VPN client – a smartphone, desktop computer, laptop, tablet, etc. No one else offers that. There are many reasons to use NodeJS and we know how difficult it is to find a webhost supporting NodeJS without having to have your own server. iClickAndHost is one of the very few providers that allow Node.JS to be deployed on a standard web hosting account. We also allow SSH to these accounts. NodeJS is available as an upgrade for the Starter and Business hosting packages and included in the price with the Ultimate and Unlimited package. We offer the full scope of e-mail services. Whether you register your domains with us or only host them with us, you can benefit from great features without extra charge, like webmail, secure webmail, pop3, IMAP, solid SPAM filter, easy e-mail account management, e-mail forwarding, catch-all mailboxes and so much more. The Hepsia E-mail Manager has great user interface and makes managing your e-mail accounts a breeze. We are very strict about security! Our security team has over 15 years in online security and our hosting platform is very secure. We have less succesfull attacks on average than a regular cPanel shared host. We are constantly adding new security features. We will also help you if your website gets hacked. We will help you recover it, find the vulnerability and help you protect your website for the future. Moving your website(s) could be such a pain sometimes. Even if you are knowledgeable and experienced there is always something you may miss or forget. Or you are looking to switch your host but you are not confident enough to do the move yourself? Don't worry. Sign up and open a ticket via the control panel. We will move all your websites for you at no extra charge! our help desk never sleeps! Rain or shine, our ticket response time guarantee is within 1 hour. Our average ticket response time is below 15 minutes! We have a 30 day unconditional money back guarantee! No questions asked! With this you can try our services absolutely RISK FREE!